The competitive stream is a great place to push your skills to the next level. 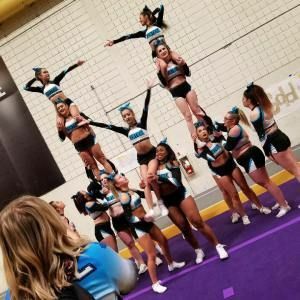 Central Cheer offers competitive all-star cheerleading teams which range from level 1 to 6 for athletes aged 5 and up. The competitive season runs from August to May annually. Our club offers teams which practice once per week and teams which practice twice per week. Athletes are required to pay a one-time registration fee of $200 + GST prior to their designated placement date. Monthly Fees are applied from September to May on the 15th of each month and are due on the 1st.